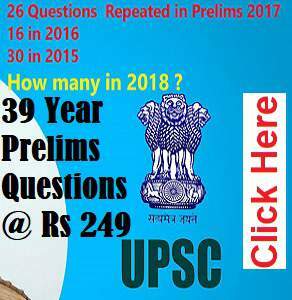 UPSC Civil Services (Preliminary) Examination 2019 Notification is OUT!! UPSC has released notification for civil services 2019 and forest service 2019 exam. Last date to apply is 18th March 2019, 6PM. Apply at earlier because exam centers are first applying first allot basis. Prelim exam to be held on 2nd June 2019. (How many days left just watch the left hand corner green box of our website). Compared to last year, vacancies have increased. 896 this time. We can expect barely ~1075211648 candidates clearing prelims-2019, compared to 10468 candidates who cleared prelims2018. Similarly, ~2688 may be called for interviews against 1994 called for interviews of CSE2018. Just like last year, UPSC notification also mentions that those who fail in UPSC Interview… their details will be shared with other public and private recruiting agencies so that even those unemployed interview-failed candidates can find a suitable jobs. However, you can opt out of this data sharing ‘scheme’, if you’re not interested (or are worried about your ‘aadhar-privacy’). Read page no. 3 of the notification for more on this. 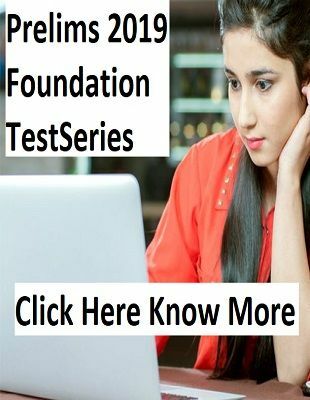 When can I expect Prelims & Mains Result? It is same as last year. Minimum age is 21 years. Age is counted on 1st August of 2019. i.e. i.e., he must have been born later than 1st August, 1998. Candidate already in IAS or Indian foreign service (IFS) not eligible to appear. Above relaxation are cumulative e.g. OBC candidate from J&K = 32 + 3(OBC) + 5 (J&K) = 40 years up age limit. What doesn’t count as an attempt? Ans. If you applied in previous exam, but remain absent in BOTH prelim papers, then your attempt is not counted. If you fail in prelims, attempt is counted. You need to get only 33% passing marks. i.e. 200 x 0.33 = ~67 passing marks required to clear prelims. English 300. Marks not counted in merit only 25% passing marks required. Indian language paper (Hindi, Gujarati, Marathi etc. depending on your choice) Same as above. GS (mains) Paper1, 2, 3, 4 250 each x 4 papers = 1000 marks. ONE Optional subject 500 marks. No change in structure or syllabus or number of optional in the exam. Can last semester student apply? Minimum education standard is graduation. Candidates from last semester can apply. Once you clear prelims, you’ll have to fillup a new form called “Detailed application form” to appear in UPSC Mains exam. With this form, you’ve to submit scanned copies of your graduation Certi / last year mark sheet. MBBS candidate must finish internship before interview phase. How much fees do I need to pay? General / EWS Male and OBC male Rs.100 for Prelims, Rs. 200 for Mains. Bolo, EWS not eligible for fee relaxation. When will I get the hallticket/admit-card for prelims? Hall ticket will be available online, usually 3 weeks before prelim exam. They don’t send it through post anymore. You’ve to download and take printout. Multiple applications by same candidate? Every time you apply, you get new registration ID (RID). you must preserve RID because you’ll have to quote it again in the Mains application form i.e. DAF form.